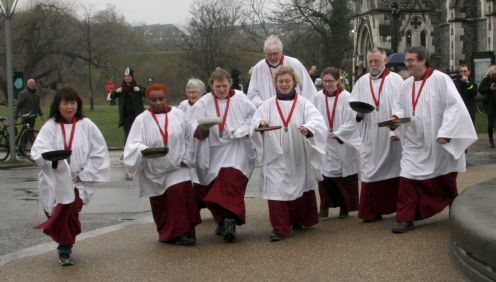 Pancake race after the service - come and race. There are prizes for the winners! Remember to bring a small frying pan.